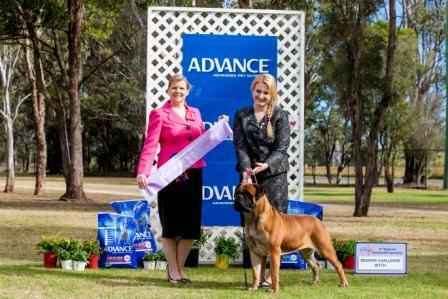 Please click here to read our archive of Specialty and Royal Show results. 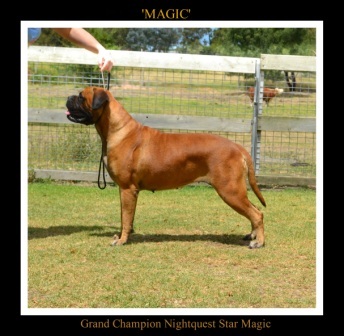 Accumulating 1,000 points and 10 Best Exhibit In Groups at only 38 mths. 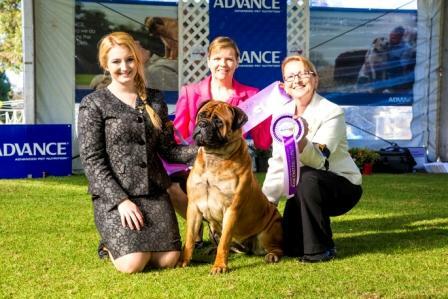 Accumulating 1,000 points at only 2.7 years of age. 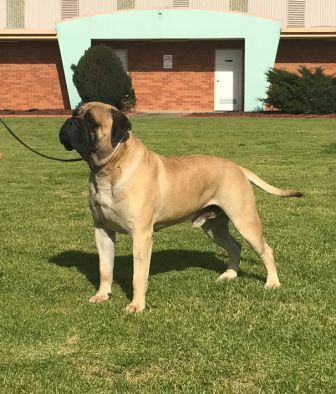 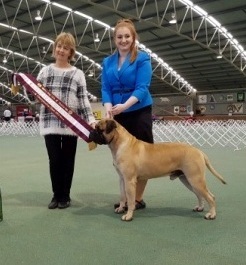 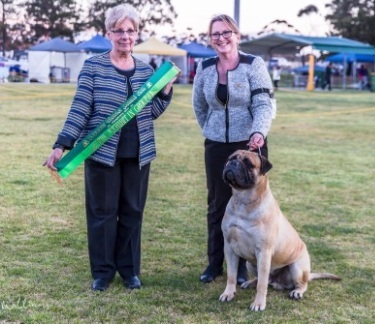 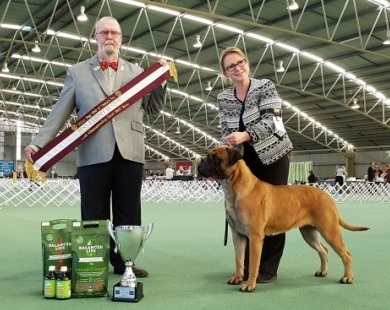 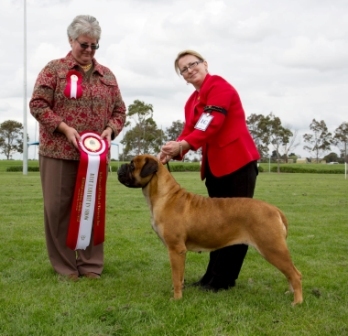 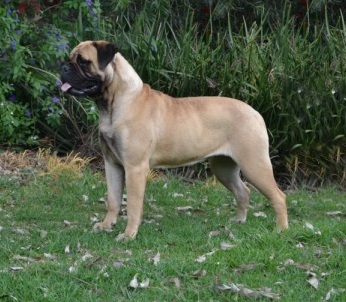 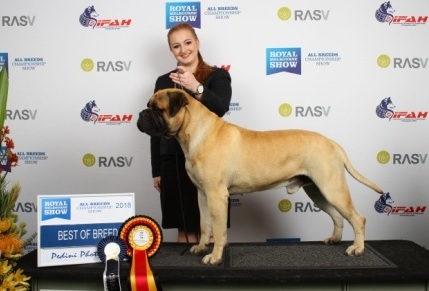 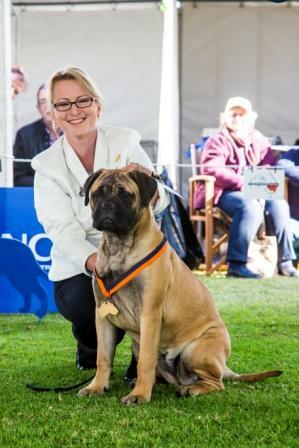 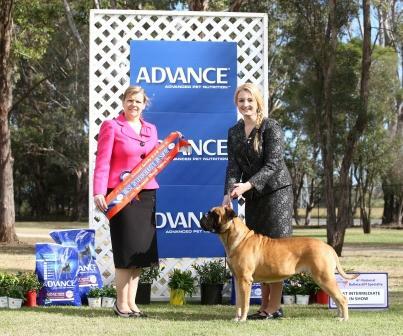 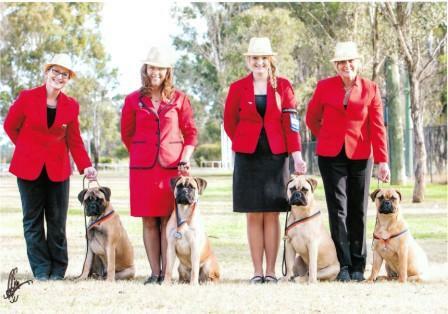 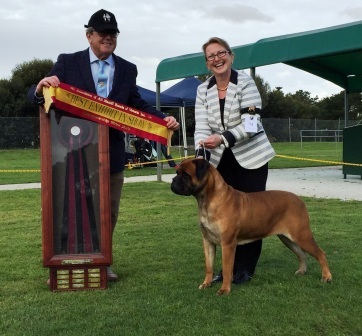 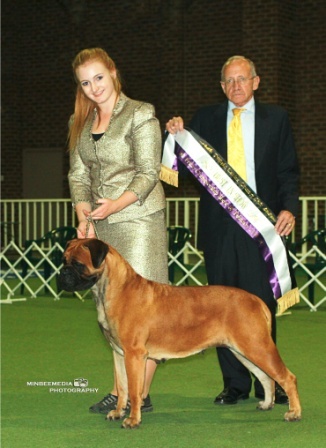 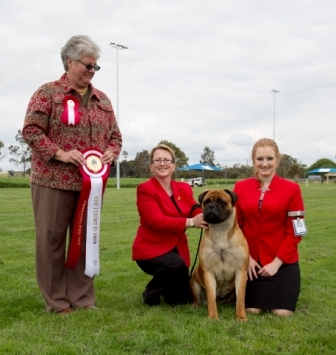 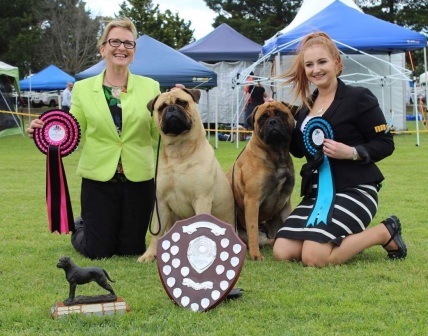 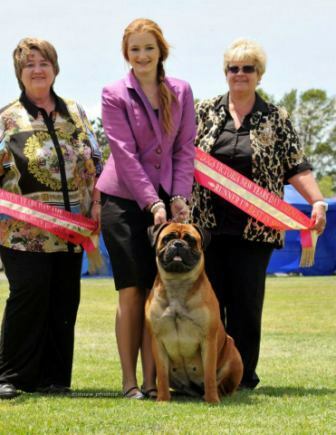 becomes Tasmania's 1st ever Grand Champion Bullmastiff. 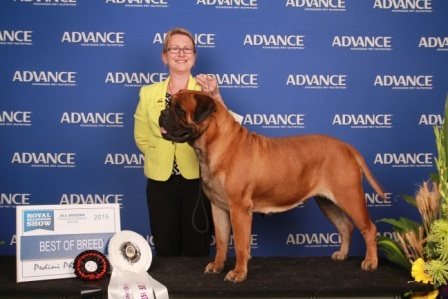 Huge congratulations to her parents Tracie and Robert Bowes. 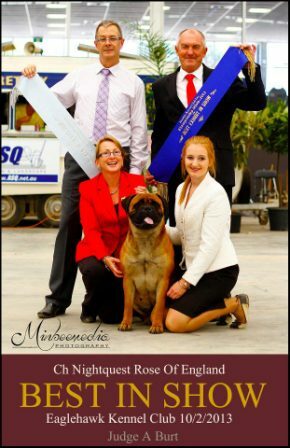 Ch Nightquest Star Affair wins Intermediate In Show. 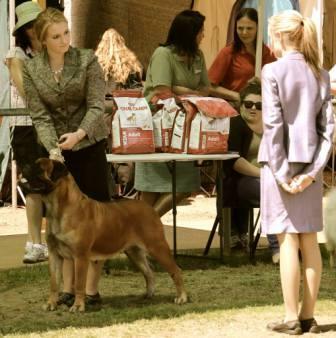 all placed 1st, 2nd, and 3rd. 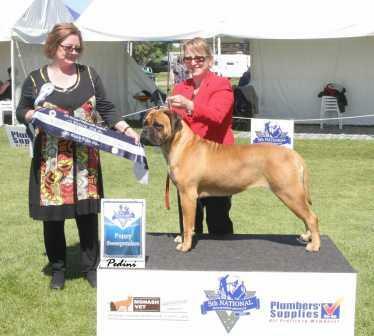 "RUNNER UP BEST IN SHOW"
Sire - BISS. 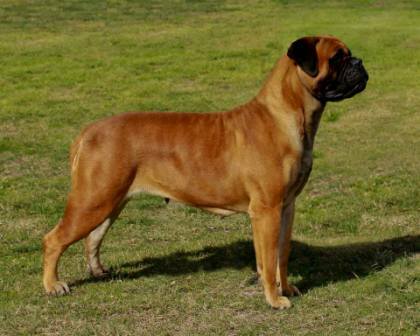 RUBISS. 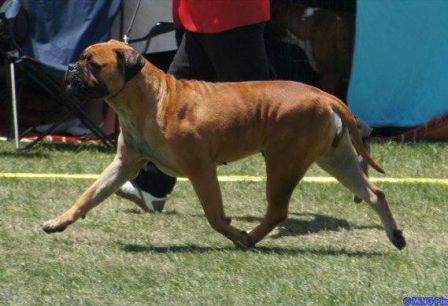 BIS. 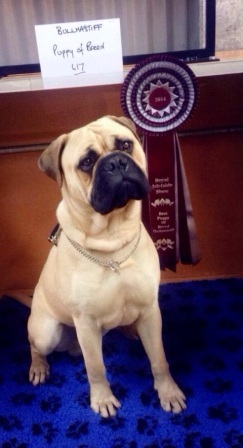 Supreme Ch. 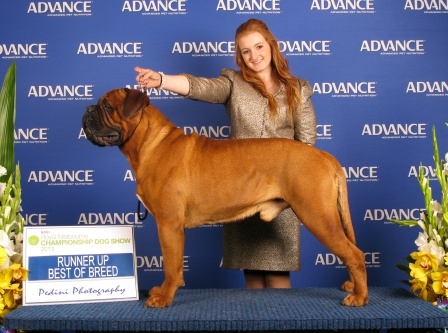 Bullsrkool Gift From Above. 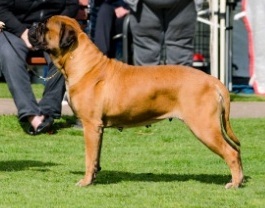 Dam - BISS Ch. 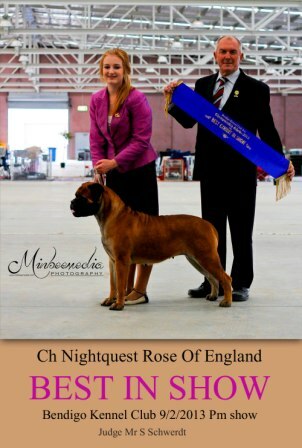 Nightquest Century Miss. 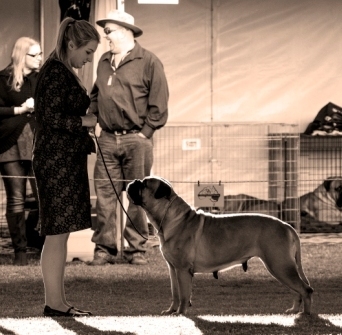 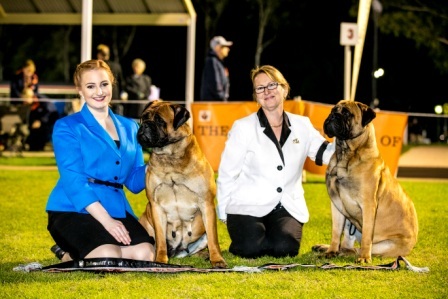 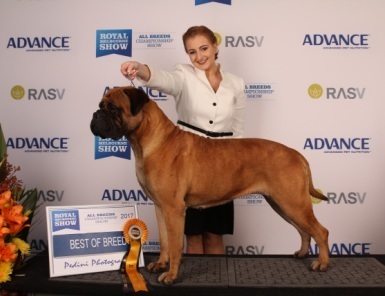 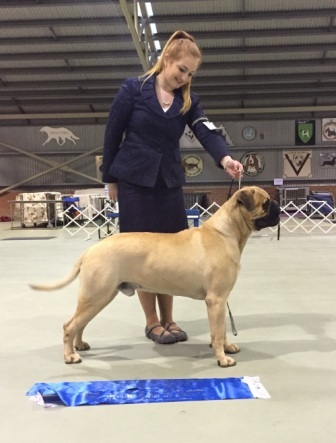 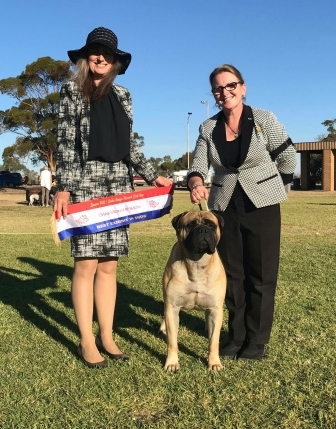 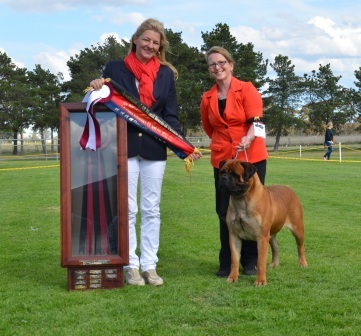 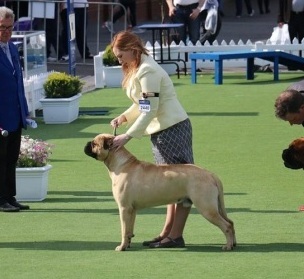 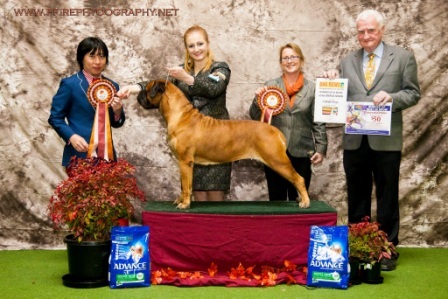 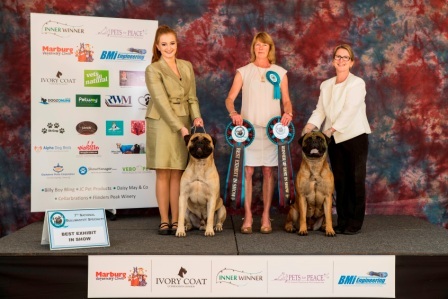 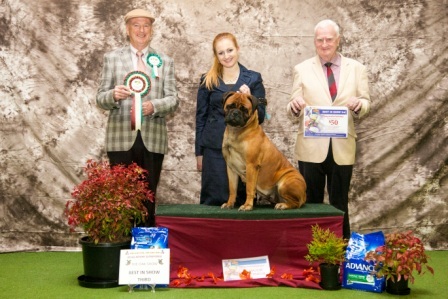 BLITZ becomes a SUPREME CHAMPION - At only 31 months she is the first and only female Supreme Champion in Australia and Victorias first ever Supreme tilted Bullmastiff.